provided the origina l w o rk is properly cited. emplary leadership that motivate extraordinary performance. to act; [and] 5) encourage the heart” (p. 3). eliminate “hoarding the power ... by giving it away” (p. 8). tivated to dedicate time and energy to work on common goals. prosperous future for the organization. decisions and report being a victims of managerial hierarchy. 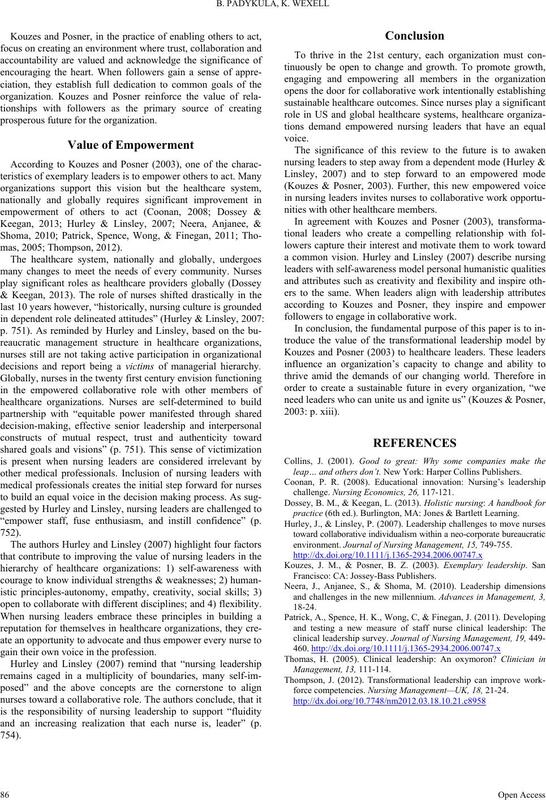 “empower staff, fuse enthusiasm, and instill confidence” (p.
open to collaborate with different disciplines; and 4) flexibility. gain their own voice in the profession. 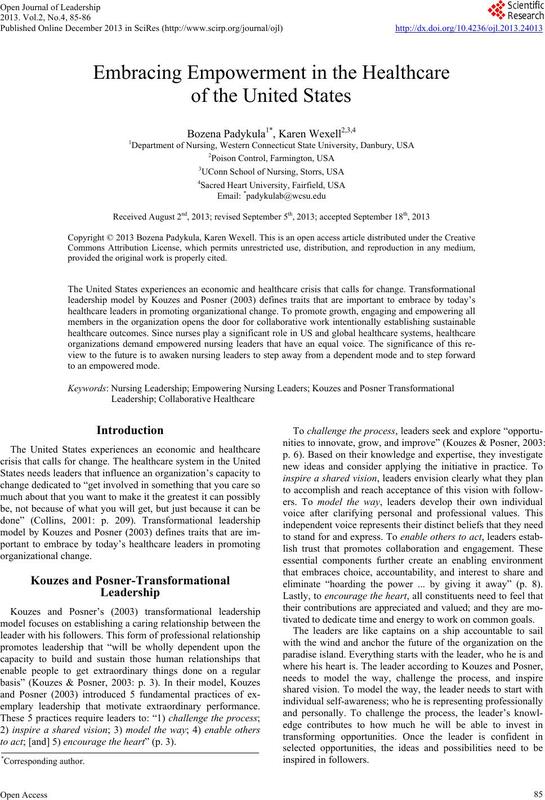 and an increasing realization that each nurse is, leader” (p.
nities with other healthcare members. followers to engage in collaborative work. leap… and others don’t. New York: Harper Collins Publishers. challenge. Nursing E conomics, 26, 117-121.
practice (6th ed.). Burlington, MA: Jones & Bartlett Learning. environment. Jo ur na l o f Nu r si ng Management, 15, 749-755. Francisco: CA: Jossey-Bass Publi shers. force competencies. Nursing Management—UK, 18, 21-24.